Artists currently residing in the Moreton Bay, Sunshine Coast or Noosa areas, as defined by local government authorities, are invited to enter Regional Marks – Celebrating 50 Years of Print. 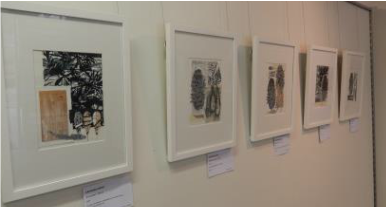 The University of the Sunshine Coast Gallery is the venue for a six week exhibition celebrating the Print Council of Australia’s fiftieth birthday in 2016. Regional Marks will showcase innovative mark making through traditional and contemporary methods by established and emerging printmakers from within the specified regions. Bachelor of Design and Communication students currently studying at the University of the Sunshine Coast are encouraged to enter and will be subject to the selection panel process. Students may reside outside the set locality boundaries. Included are all print forms, traditional through to digital on all printable surface mediums, including artist books and sculptural works. The work submitted must be predominantly print based and may include other processes, which must be cited – e.g. linocut and drawing. There are no size restrictions. Work/s must have been completed since January 2014. Artists may submit up to three entries for the Selection Panel. Regional Marks will be seeking interest from participating artists to present supporting demonstrations and workshops conducted by printmakers as part of the public programs offered by the Gallery. Regional Marks will be promoted with other national print exhibitions scheduled throughout 2016 around Australia – all celebrating the Year of Print.